I stand on the driveway, laddu in my left arm, her weight starting to tell. The sun beats down mercilessly. The air is pregnant with moisture. My tee-shirt sticks to my back. I feel irritation creep into my voice as ammu and pattu insist there is no better day than today to bike. The heat is oppressive and I long to be back in the comfort of our home. I hear the door open and relief floods me. Saathi is here to take over keeping an eye on the imps. I walk back blessing him generously. The TV sounds filter up to where I stand. I hear Amma talk on the phone. Laddu is vying for attention with her shrieks. I pull down the windows and tug at the blinds that come cascading down. The last image before the blind cuts my line of vision is Saathi in the hot sun, a bead of perspiration trickling down his forehead, bending to pick a red plastic drink cup from the green grass. I am by the next window now lingering to watch as he collects the trash strewn around the yard. By the time I finish the girls room and head downstairs, I see him through the patio door struggling with the mini tent. I go about my morning rocking laddu, feeding ammu and pattu, sorting through the gifts. It is close to noon now and I open the garage door. Saathi walks in with a stack of folding chairs and sets them along the wall. I close the door behind me feeling the cool air from the vent brush my ankle as I walk. I stand under the shower reliving the day and weeks before this weekend. As the responses to Saathi’s birthday party came in, the comments were telling. All the people responding communicated a sense on wanting to be there celebrating his special day with him. My requests for video clips and phrases describing him were met with equal enthusiasm. The epithets floated in through the day. The video wishes varied from the simple to downright innovative and funny. The one common thread that ran through them all was the sense that it was from the heart. As Saathi and I sat on the recliners, the iPad streaming the videos, I felt my eyes sting and smiled to hide how emotional I felt. It is not easy trying to celebrate someone who is not awed by the material. Someone who treasures holidays spent at home to an exotic vacation. Someone for whom baubles mean nothing. So, I did the best I could. Gathered his childhood friends and his tennis buddies. His family and friends who have become family. And brought them all together for a big get together with lots of food and conversation. 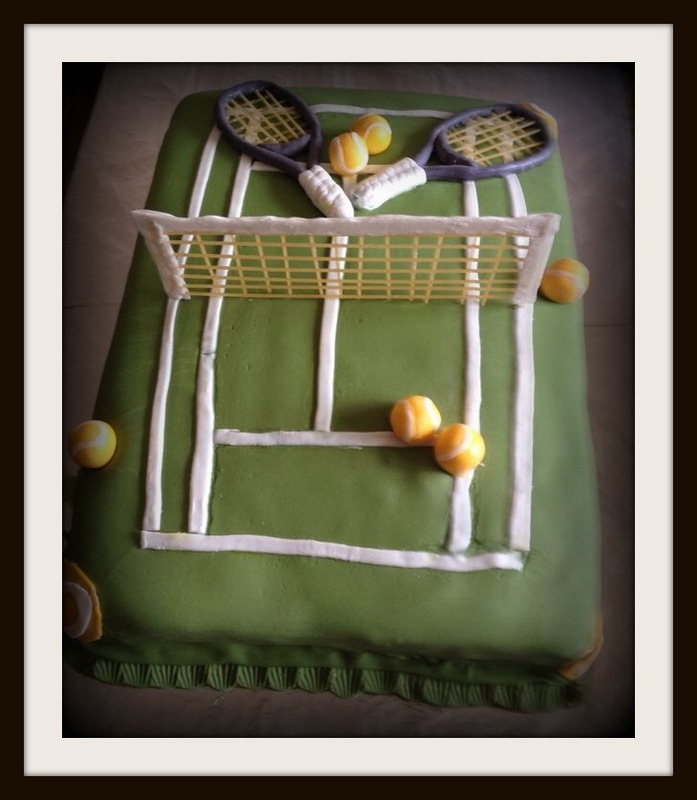 As he bent down to cut the cake made lovingly by a friend in the form of a tennis court, I sang loudly with abandon. As I watched his friends smear chocolate mousse all over him, I stood on the sidelines cheering on. 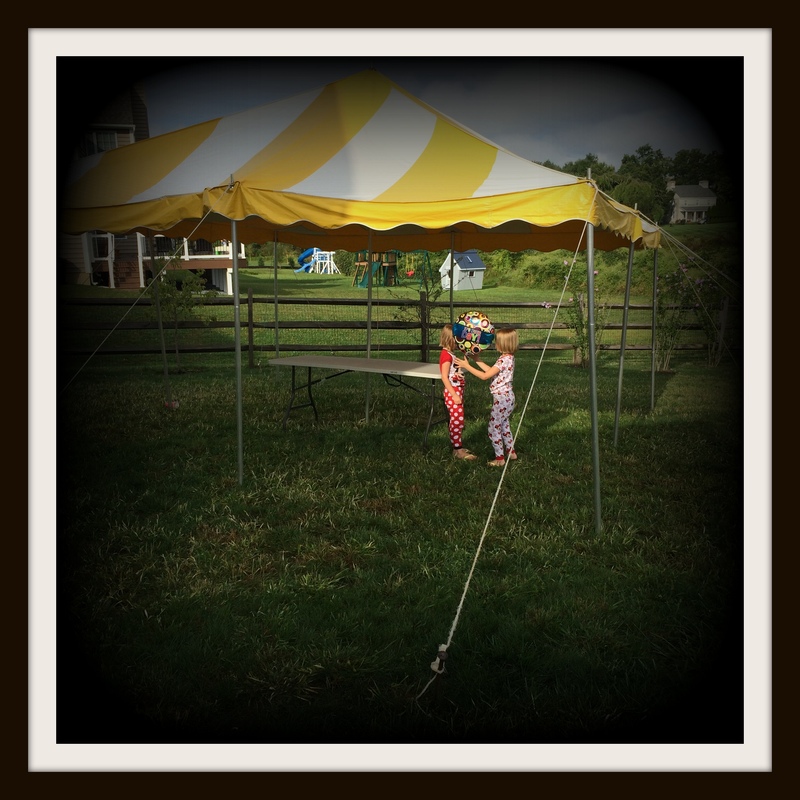 As the party wound up and all that was left were tents fluttering and soaking in the rain, I felt happiness. Beneath the trappings of a party, there was only love, friendship and admiration for a man who has aged gracefully. Beautiful words! You really did the best – I could see his excitement when he met each friend and was truly surprised! He deserves the surprise and you deserve the satisfaction of organizing a great surprise party! Super duper…! what fun, glad the celebrations went well. It has been a treat getting to know your Saathi. And good job pulling it of…! Thank you. Talk tyu soon. Belated birthday wishes to your Saathi!